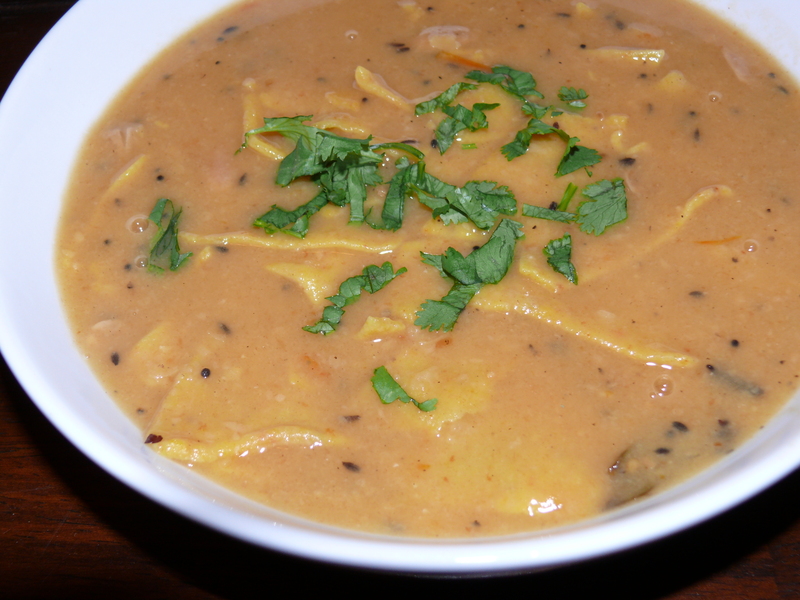 The first time I had dal dhokli was in Bangalore I thought it was the funniest dish. Like pasta in dal! Which it kind of is if you get down to it. Pieces of raw roti (thin Indian bread) are cooked in thin boiling dal. I love all the Indian dishes that aren’t common when eating out in the US. It is really amazing how varied Indian cuisine is. This recipe is adapted from Jain Foodie and Sanjeev Kapoor. Mix the flour, besan, turmeric, chili powder, ajwain seeds and a little salt. Mix in the water little by little until a dough forms. Roll into a ball and set aside while making the dal. Add toor dal, tomato and water to a pressure cooker and cook for 10 minutes after the first whistle (I start on high, then turn to medium heat after the first whistle). Put cooker under cold running water until all the steam comes out and open carefully. Blend with an immersian blender . Add the water from soaking the kokum, jaggery, turmeric, chili powder and salt. In a tadka or other small pan, heat the oil and add the mustard seeds, cumin seeds, fenugreek seeds and cloves. Once the mustard seeds start to pop, add the hing and curry leaves. Pour into dal. Bring dal to a slow boil. Roll out the dhokli dough on a floured surface until really thin. 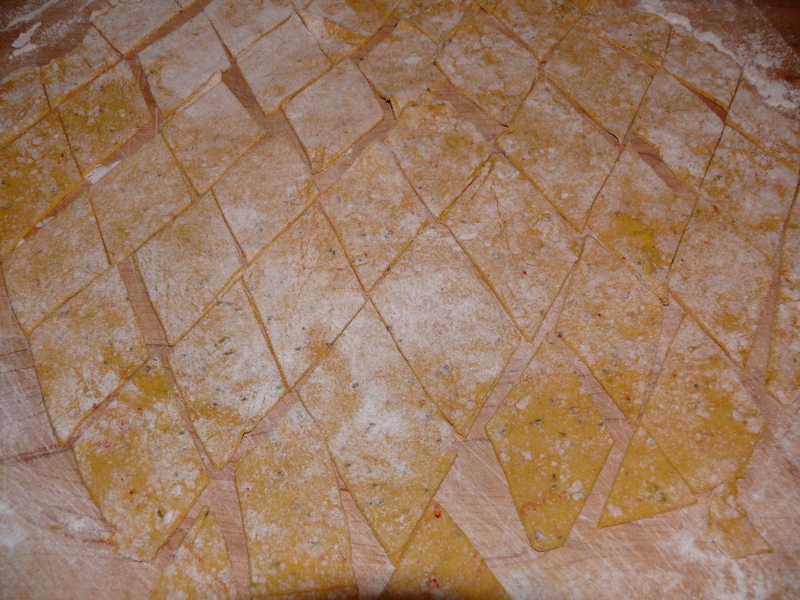 Cut into diamond shapes and lower each piece into the boiling dal carefully. Cook for 5-10 minutes only stirring very lightly so you don’t break the dhokli to much. Garnish with cilantro.